The PROGRESS 2 is the first reversible harness without compromises. 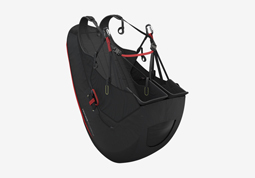 It is extremely light (3.2 kg, S size) and has both built-in reserve system and certified airbag. The perfect look is included. Unique for the PROGRESS 2 are feedback damping in the air and freedom of movement on the ground. All in all, this product is the compact, all-round solution for the recreational pilot. Innovative leg pads extend the 3D-shaped seat surface and effectively absorb turbulence, giving the pilot a comfortable and quiet ride. The level of damping can be adjusted in flight at any time – as the conditions require. The ergonomic seat surface is exceptionally comfortable and conveys (the required) wing feedback direct to the body. 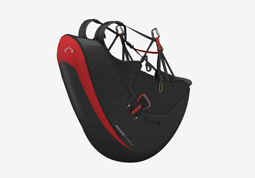 Weighing only 3.2 kg (S size) the PROGRESS 2 is the lightest reversible harness to have integrated reserve and airbag. 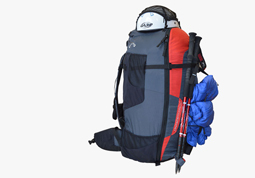 As a compact rucksack it has a robust outer shell. Aerating mesh at your back adds to carrying comfort. A new and included inner compression bag makes it easy to achieve a compactly packed wing.